This Halloween confetti features tiny pumpkins and printed ghost cut-outs for a festive confetti decoration. Spread some on the Halloween party table or put some in your party invitations just for fun. 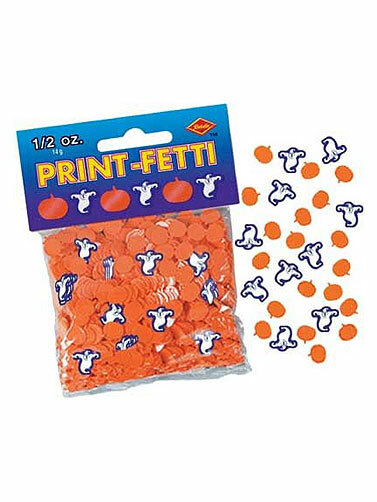 Ghosts and Pumpkins Print-Fetti includes .5 oz of confetti.